In space, no one can hear you scream. Any sci-fi buff worth their dilithium crystals knows why: sound requires a medium such as air or water in which to propagate and empty space is well, empty. But what if I told you that there are waves that can travel through space itself and that physicists and astronomers are developing machines that will allow us to listen to them for the first time? 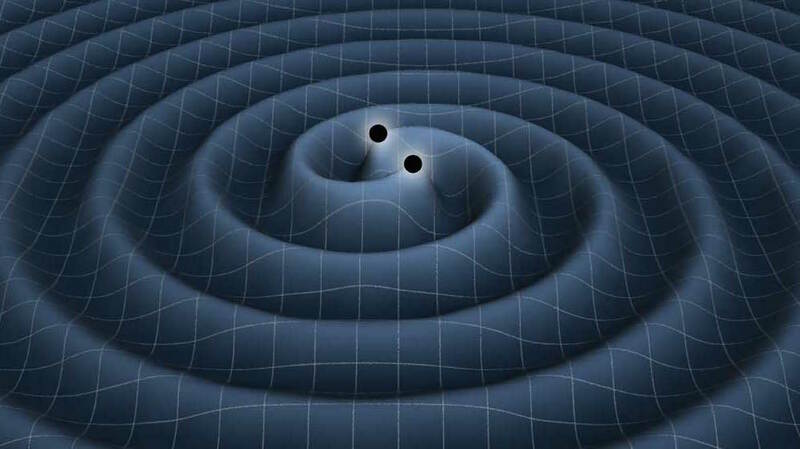 They are called gravitational waves and they are a prediction of general relativity, Albert Einstein’s famous theory for understanding gravity which turns 100 years old this month. You may be familiar with explanations of the theory that describe spacetime as a “rubber” sheet that deforms when a massive object is placed on it. Well imagine that you were to press a finger down on such a sheet and release it. You’d get a wave that would travel outwards, somewhat like the waves in a pond when a stone is dropped in it. With considerably more effort, it’s possible to crank through Einstein’s equations and show that there is indeed a mathematical solution that describes waves in spacetime and that these gravitational waves travel at the speed of light, come in two polarizations, and can carry energy, momentum, and information. You can also determine what it takes to generate these waves and where in the universe you might expect to find such systems. It turns out that the best sources typically involve exotic and extreme astrophysical objects such as white dwarfs, neutron stars, and black holes. One of the best sources is a tightly-bound binary system with two such objects orbiting around one another. 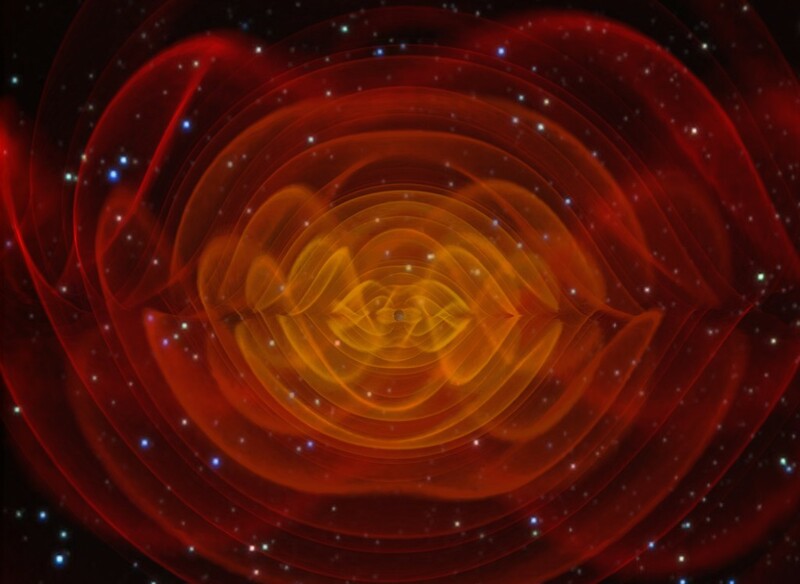 The gravitational waves generated by such systems carry away energy and cause the objects to fall towards one another, which increases the amplitude of the gravitational waves and the rate at which they sap energy from the system. The result is a runaway collapse of the system that produces a cataclysmic merger of the objects and a burst of gravitational waves. Now if the objects in question happen to be made of matter, for example if they are neutron stars, the merger will produce a burst of electromagnetic energy that can be detected with today’s telescopes. In fact, this is a favored model for one type of gamma-ray burst. If on the other hand, the two objects are black holes, there may be no electromagnetic signal at all. In terms of energy released per unit time, what astronomers call luminosity, the final inspiral and merger of a binary black hole system is the most luminous event in the universe since the big bang and yet it is completely invisible to any instrument that observes in the electromagnetic spectrum. Physicists and astronomers have recognized the potential for building gravitational wave detectors for decades. They offer an opportunity to both understand the nature of gravity in its most extreme forms as well as an entirely new tool for doing astronomy. 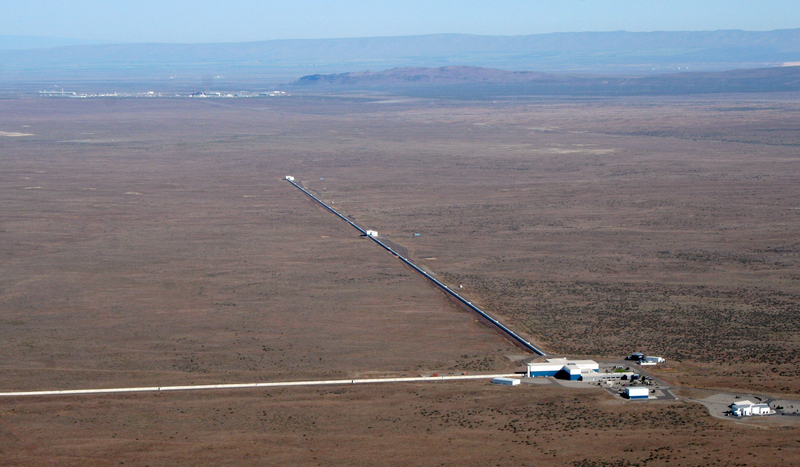 In many ways, a gravitational wave observatory is more like a listening device than a telescope. They tend to be sensitive to sources over a wide area of the sky, much like your ears can sense sounds coming from different directions. It’s also possible to observe multiple sources simultaneously, as the human ears (and brain) do when you talk on the phone with the TV on, the refrigerator humming, and a siren blaring in the distance. The problem is that detecting gravitational waves is hard. What you want to look for is the stretching of spacetime itself. This is done by placing two or more objects in near-perfect free-fall so that their motion will only be affected by gravity. You then closely monitor the distance between these objects and look for distortions caused by the passing gravitational waves. The size of these waves is measured with a dimensionless number called strain, which tells you the total displacement caused by the waves divided by the initial distance between the objects. For a typical astrophysical gravitational wave source, the strain at Earth is about one sextillionth. Don’t know your prefixes that far out? Neither did I. It’s one part in a billion trillion or 10-21. This incredibly small number is sometimes wrongly interpreted as evidence that gravitational waves are weak. A better description is that spacetime is extremely stiff and it takes a tremendous amount of energy to make even a small distortion. That rubber sheet in the model should be more like a titanium sheet. You might think that measuring a number as small as 10-21 would be in the realm of fantasy but it is in fact within the grasp of modern precision measurement techniques. Right now, several large collaborations of scientists are operating kilometer-scale detectors that can measure distance fluctuations on the order of 10-19 m, more than a thousand times smaller than a proton. The most sensitive of these, known as LIGO, has just begun operating after a major upgrade and will likely make the historic first detection of a gravitational wave in the next few years. In fact there is a scandalous rumor circulating that they may have already detected one but are keeping it secret until they’ve checked and double-checked everything. At the same time, others like myself are developing concepts for million-kilometer scale detectors in space. In fact, I’m part of an international effort led by the European Space Agency that will launch a satellite called LISA Pathfinder in December of this year. 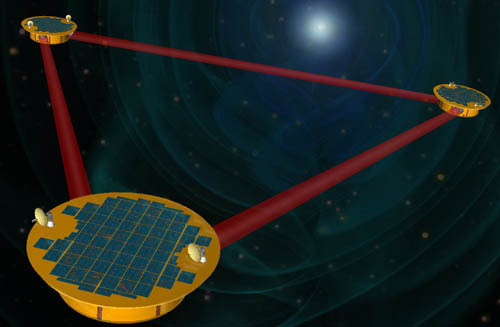 The purpose of this satellite is to demonstrate some of the novel technologies and measurement strategies that will be needed to realize a space-based gravitational wave observatory. 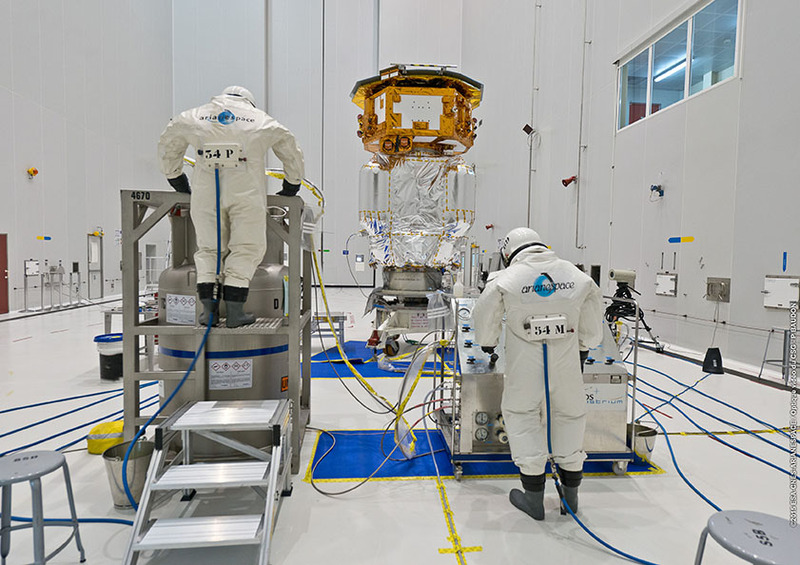 In the coming series of blog entries, I plan to introduce you to the LISA Pathfinder mission as well as talk more about gravitational waves and the technologies being developed to detect them. If you can’t wait for those entries, I encourage you to watch this Google Hangout hosted by the American Astronomical and Astronautical Societies on November 20th, featuring me, Dr. Joey Shapiro-Key of the University of Texas Rio Grande Valley, and Dr. Shane Larson of the Adler Planetarium.